To meet the challenges of a growing player base, accelerated by the success of the women’s football league, Ausco Modular and SANFL have collaborated to create female-friendly changerooms and quality designs meeting every requirement of the AFL Preferred Facility Guidelines. Our objective is to design purpose-built facilities for the needs of the community from a design, quality and cost perspective. The lower build cost, significant time-savings and end-to-end project management make Ausco Modular sporting facilities perfect for clubs where administrative and playing resources are already stretched. With 13 purpose-designed buildings available, you’re sure to find the right option for your club in our range. Ausco Modular is one of Australia’s largest construction companies using modular technology. Delivering customer service excellence through the use of continuous improvement strategies and our sheer determination to deliver the best possible result, each and every time, drives us in the ambition to be the supplier of choice for modular buildings. 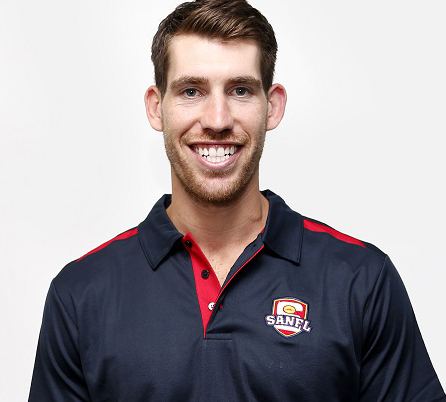 With over 7 years’ experience as a sport and recreation planner, Casey is responsible for providing strategic guidance to Government stakeholders, facility owners and community clubs to inform their investment in facilities to support the health and growth of Australian Rules Football. Hear from the AFL and Pascoe Vale Football Club, Melbourne about their journey with modular to accommodate their female player base with new unisex changerooms. "...if there are other clubs out there looking to do something like this, I highly recommend it because it gets done so quickly and provides you with flexibility". The following fly-throughs explore a smaller, local club design (LM212) and then a larger facility capable of community and social functions (SM880). A modular building is built off-site in a controlled factory environment and will be delivered to your club in modules. The building modules are 90% complete prior to delivery and installation on site. This greatly reduces disruption to your club, as the installation process takes a fraction of the time that traditional construction would. What is the lifespan of modular a building? Ausco Modular buildings are steel framed and have a specification equal to a conventional site-built building. The steel frame structure is expected to last 30 years and the linings are subject to their own warranty and life spans from the individual material suppliers. The buildings are designed to form a sound alternative to conventional construction and are built more quickly and economically than site-built facilities. Does the cost vary between modular and site-built buildings? Generally speaking, Ausco/SANFL modular buildings are at least 15% cheaper when compared to site-built buildings. Additional savings are available through Ausco’s one-stop-shop service consisting of design, project management and development approvals. What is the project timeline for modular developments? Handover to the club or Council will be within 20 weeks from date of award. This timeline is inclusive of engineering, drafting finalisation, procurement, manufacture, transportation and installation. All facilities comply with requirements in the AFL Unisex Design Guide. Floor plans and building specifications have been developed to provide comfortable, private and safe environments for males and females from all backgrounds. Can buildings be customised for each specific site? Ausco and SANFL can customise floor plans and external finishes to accommodate perfect fit solutions at any site. Can the club utilise in-kind labour towards a project? There are numerous components of modular buildings that require specific expertise to build and install. If any club has skill sets available for any of the trades or scope of work, Ausco are willing to work with individual circumstances to suit. How are buildings specified to meet the community sport standards? What additional costs can my club expect to incur? Ausco offers a full design to handover service, inclusive of design, project management, development approval, manufacture, transportation, site preparation, installation and onsite construction. How much will a modular building cost my club? 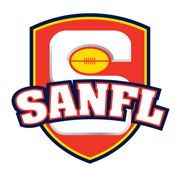 Ausco have worked closely with the SANFL to develop a range of designs that meet the needs and budget constraints of clubs all across South Australia. Pricing may vary slightly from club to club due to different on-site requirements. "Through all of the discussions we’ve had, they’ve gone above and beyond in helping us." The City of Playford’s original plan was to provide a temporary building for Adelaide United to commence preseason training until a suitable facility could be installed for long-term use. Ausco Modular saw a redesign opportunity to work with all parties to build a long-term solution that represented a purpose-built, innovative, functional and state of the art training complex. The facility incorporates a fully equipped gymnasium with dedicated weights, circuit and stretching areas, players change room, ablution facilities, coaches change room, ice bath room, physiotherapy room, team briefing room, meeting rooms, storage, public toilets and commercial laundry. The project was completed in just 19 weeks and was awarded the 2016 South Australia Master Builders Building Excellence Award for the best commercial/industrial building under $1m. The facility is a testament to the collaborative efforts of all parties involved.